Q. If the effects of Double Helix Water can be seen in as little as 15 minutes, how long will they last? A. Double Helix Water Stable Water Clusters is not a drug nor does it “cure” anything; the water facilitates the body to heal or recover itself and works best when taken continuously. It is thought that Stable Water Clusters found in DHW may help the body heal itself by clearing meridians like acupuncture and help the body get back into energy balance. Q. How were Double Helix Stable Water Clusters discovered? Q. Tell me about the ongoing research on Double Helix Water? A. Double Helix Water has been the subject of major university studies worldwide including a double-blind study at UCLA that found that Stable Water Clusters stimulate the body’s immune system’s response capabilities. Shui Yin Lo, PhD. also presented new findings and research on Double Helix Water, water and health, at the 2nd International Symposium on Physical, Chemical, and Biological Properties of Stable Water Clusters, January 31-February 1, 2013. In his ongoing study of Double Helix Water and autism, Dr. Lo has reported on a significant reduction of heat along the yang meridians (as measured by infrared thermography), as well as autism-related physiological and behavioral improvements in autistic children, after taking Double Helix Water. His studies suggest that blockages in the meridian system can be reduced by taking Double Helix Water, which then triggers the body’s self-healing mechanism and enables it to help reduce some of the effects of autism. Read more about autism research and Double Helix Water. Dr. Lo has also been recently appointed to the Scientific Advisory Board of The Academy of Comprehensive Integrative Medicine. Q. Are Stable Water Clusters Natural? A. The formation of Stable Water Clusters is believed to be a naturally occurring process. Double Helix Water has harnessed the process and bottles it in concentrated form. Produced at D&Y Laboratories in the Midwest, Double Helix water is the result of using electrical pressure that surrounds a charged particle to convert ultra-pure water into Stable Water Clusters. Q. Are there any side effects from taking Double Helix Water? A. 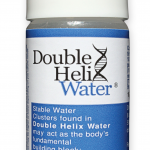 Double Helix Water is ultra-pure water and has no other detectable substances. It is water, just a different phase, and is cleaner than distilled water. Double Helix Water is safe for all ages and causes no adverse reaction with any medication or supplements. Q. How is Double Helix Water different from alkaline water, Kangen water, etc. (other waters)? A. Double Helix Water is not structured or enhanced water. It is a newly discovered phase of water (a solid phase that does not melt at room temperature), known as Stable Water Clusters. Double Helix Water comes in a highly concentrated form containing millions of nanometer-sized Stable Water Clusters that have a high polar charge. Double Helix Water is neutral, (pH=7) and is without ions (electrical resistance of 18.2MΩ-cm). Double Helix Water is not intended to replace any water you drink on a regular basis, (the regular water that is important for health and hydration). Cobalt Distribution Company, LLC is the exclusive distributor for Double Helix Water in the United States and Canada, as well as servicing international customers. As a Registered Dietitian Nutritionist, I am an authorized reseller of Double Helix Water. Double Helix Water© does not endorse claims or have scientific proof that Stable Water Clusters are effective in the cure, mitigation, treatment or prevention of disease. Stable Water Clusters have not been evaluated by the Food and Drug Administration. They are not intended to diagnose, treat, cure or prevent any diseases.